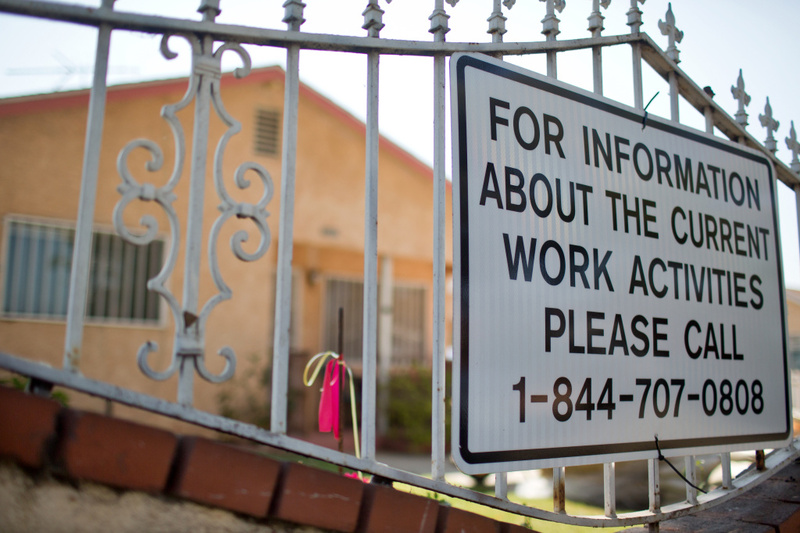 The Los Angeles City Council on Wednesday called on the state to expedite cleanup efforts for lead-contaminated homes and other areas around the shuttered Exide battery recycling plant in Vernon. The Council passed a resolution on a 14-0 vote, urging Gov. Jerry Brown and the state Legislature to require the Department of Toxic Substances Control to create a public timeline for its cleanup efforts and to provide any additional funding the regulator needs to clean up the polluted spaces in the Boyle Heights community. “We have little faith in the DTSC, and we hope that with this resolution, it would help continue the pressure on DTSC and the governor to continue to step up and clean up this devastation that has harmed and continues to devastate the lives of people in Boyle Heights and surrounding southeast communities,” Huizar said. Brown has alreadyÂ called for more than $176 million in state funding toward the cleanup effort. But Huizar said more money would be needed. The councilman based that assessment on the roughly 10,000 homes that he said need to be decontaminated at a cost of about $45,000 each, bringing the total estimated price tag to $450 million. At the rate the DTSC was cleaning homes, it would take 50 years before remediation was complete, Huizar said. In an emailed statement, a spokesman for DTSC challenged the councilman’s calculation, noting that Brown’s plan starts with testing the 10,000 homes to determine how many need to be decontaminated, and that the agency expects that testing to be completed in about a year. “The plan sets aside funding to clean up about 2500 of the yards where the contamination is highest and where there is the greatest potential for exposure.Â Again at this point we do not know what the number of clean ups may be,”Â wrote Jim Marxen, DTSC’sÂ deputy director of communications. DTSC had earlier orderedÂ Exide to set aside $38 million in a trust fund to ensure the safe closure of its facility, according to Marxen. In addition, Exide has already paid $9 million to test and clean up yards in two initial areas of about 219 homes. “This is an important project for us in the Administration. It has been and will continue to be one of our highest priorities. We are working very closely with the community and elected officials to ensure that all residents around Exide are safe and protected,” Marxen wrote. In the meeting, Huizar said the state had allowed Exide’s Vernon plant to operate for more than 30 years on a temporary permit, while the company continued to violate state and federal law governing emissions. Some 100,000 people were ultimately exposed to dangerous levels of arsenic, he said. With its resolution, the council has asked for a more specific timetable for cleanup efforts.